Founded in 2003, Taktil Communication is a well known agency for digital marketing and communication based in the red city Marrakech, specialized in the establishment of appropriate strategies and programs well designed by our collaborators, our creativity goes along with all kinds of needs and our strategy is outcomes and Web performance oriented. Taktil Communication operates in several areas of web marketing and communication that allows every partner of ours to get the best strategy leading to real and measurable results. Aware of the rising importance of the opportunities provided by Internet for companies operating in different areas, our agency in Morocco has chosen to make its partners benefit from a large expertise gained over the years, through constant monitoring of the evolution of standards and technologies. At Taktil, we believe that user’s experience is the key of a brilliant distinction that may eventually lead to an awesome success. Therefore we put together our knowledge for developing our client digital strategy in a unique and creative way, which will not only impress all kinds of customers, but will also convince and leave a good lasting impression on their partner in order to improve your visibility and brand notoriety, the most important goal is to attract potential customers and thus increase your sales by converting them into a loyal clientele who might end up landing on your site in the most cost effective way. Taktil Communication is one of the leading web communication agencies in Morocco which can work on several strategic axes at the same time: from strategic consulting, creation of a website, Search Engine Optimization (SEO) and paying SEA, to graphic and ergonomic design…. All that and more, while mastering equitably each field in itself. Our fundamental approach oriented return on investment is what essentially sets us apart from our competitors and makes us an excellent partner for any type of project, it is also the reason behind the accomplishment of all our current objectives in the recent years. Our ambition is always to achieve the measurable objectives that we set previously with you. We guarantee you an excellent return on investment, by getting you closer to your goals regardless of their nature. We will keep you informed about the progress we are making and we are open to all of your ideas because we like to make you part of our creativity process…. Taktil Communication is an inventive communication agency, which puts the return on investment in the core of your communication strategies to guarantee you better visibility on the web and a great notoriety. Our clients choose us because we use our experience to tailor-make their request. Taktil Communication is a communication agency in Marrakesh formed by qualified members with different training and many years of expertise. This heterogeneity is one of the hallmarks of our team who work hard every day to make you take advantage of the knowledge and expertise well gained and therefore involve themselves to the successful implementation and realization of your communication strategy. We operate in all the strategic points in order to offer the image, notoriety and reputation long desired. we will listen to every request you have, inform you, advise you if needed and we will keep accompanying you until the finalization of your business plan. Taktil provides you with its expert knowledge of the web and a constant presence on the market to establish every single strategy requested, our team takes into consideration the importance of making of the ROI the basis of any planned action and any defined objective so they act on that starting point. The Evalia Project is a special project because it has been entrusted to our communication agency since the beginning of the web project. Our mission was therefore divided between technical assistance and graphic. 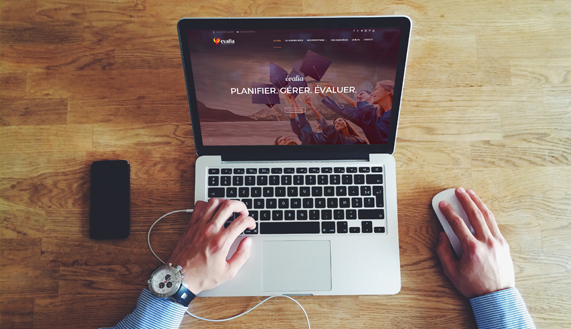 The team of graphic studio has implemented a remarkable visual identity, easy to remember and that may particularize the institution on the market, thereof has also worked closely with the development team to create the website in Marrakech. Taktil communication has proceeded subsequently to a web SEO strategy aiming to position the site on search engines in Morocco. 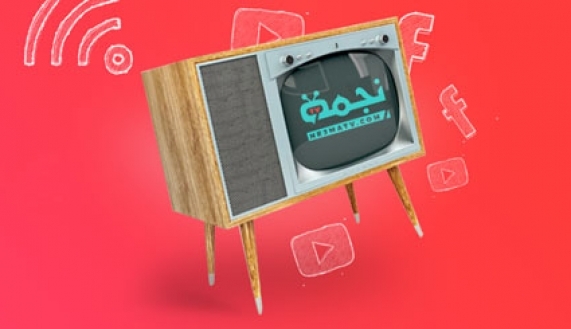 Through our development department, our team accompanied the electronic television Nejma TV in the development of an integral digital strategy, beginning with the definition of the domain names that should be booked through the strategy of SEO and then by the choice of functionality, of the tree and topics to put on the website of the interface ergonomics and hosting. Basically Taktil was responsible for creating the website and took care of every detail to complete this mission.